A revolving line of credit is one way for an individual or a business to access the money it needs to make purchases. This type of credit has a maximum amount that is available for the individual or business to use, and once the user pays down the line of credit, the amount is available for use again. Another popular characteristic of a line of credit is that the borrower only pays interest on the amount that they use on the line, so if they never use the line of credit or they pay the balance off in full on a monthly basis, then they are not typically charged interest. One of the easiest examples of a line of credit to understand is a credit card. Credit cards, however, are not the only types of revolving lines of credit available. Holders of a credit card can use the card as a cash equivalent to make purchases. Credit cards have a maximum purchasing power, which can range from a couple hundred dollars to hundreds of thousands of dollars, depending on the qualifications of the borrower. Credit card holders receive a plastic card that they can use to make purchases in person, online or by phone. Banks and financial institutions issue credit cards. The best place for an individual or business to apply for a credit card is with the financial institution that has the checking or savings account of the applicant. Numerous credit card issuers also send pre-approved applications in the mail to potential cardholders, which is another easy way to obtain a credit card. Comparison websites, such as CreditCards.com, also make it simple for individuals and businesses to search for various credit cards and the terms of the cards to find and apply for a credit card. Qualifying for a credit card generally comes down to the applicant's credit score, income and employment. Issuers of credit cards want to see that the applicant has a history of paying their credit card bills and making other payments before issuing a credit. Additionally, the credit card issuer wants to see that the applicant has the income to repay the amount they use on the credit card, plus interest. Credit cards can be a beneficial source of cash for emergencies. For this reason, you might consider establishing a line of credit that covers the need for a major cash purchase, such as replacing the air conditioner or heating system in your home. Establishing a credit card line of credit for the most amount you can qualify to receive, based on your income and credit history, allows you to have access to the cash equivalent when and if you need it. A secured line of credit requires a personal borrower to put up an asset, such as a cash deposit into a savings account or a certificate of deposit (CD). A business borrower can put up business assets, such as machinery or a business office or building, as collateral. In this case, the credit issuer establishes the line of credit based on the market value of the asset. If the borrower defaults on the secured line of credit, the issuer has the right to retrieve the collateral as payment. Banks and financial institutions issue secured lines of credit. In the case of a secured line of credit that is using a home as collateral for the loan (most often referred to as an equity line of credit), a mortgage lender is another possible source to establish the line. Bank of America offers a secured business line of credit, where assets or cash in a CD can act as collateral for the line. Wells Fargo provides secured business lines of credit in amounts up to $100,000. Borrowers tend to look at several different factors when qualifying a borrower for a secured line of credit. Value of the asset: One of the primary considerations is the value of the asset being used as collateral. In some instances, the market value or appraised value of the asset has to exceed the amount of the line of credit, but there are some products available where only a partial deposit is required. Credit rating: Whether an individual or a business is establishing the line of credit, credit history plays a role in qualifying. Different banks, financial institutions and mortgage lenders have different credit score limits for qualifying purposes. Income verification: Generally, lenders want to see that the individual or business has the income to repay the line of credit amount, plus interest. Consider establishing a secured line of credit for the maximum amount you can based on the asset being put up for collateral. Also, establish the secured line of credit for the maximum amount you can afford to repay over time. In the case of default, the lender has the right to take ownership of the asset, even if the asset value exceeds the amount of the line of credit, so it is important to understand this when deciding on the amount to establish. An unsecured line of credit does not require a personal borrower to put up an asset as collateral. Unsecured lines of credit are also available to business borrowers. Other names for an unsecured line of credit include personal line of credit and business line of credit. Banks and financial institutions issue unsecured lines of credit. For example, Wells Fargo offers a personal line of credit that does require collateral and offers a variable interest rate. US Bank also offers a variable rate unsecured personal line of credit for customers. Banks and financial institutions tend to look at several different factors when qualifying a borrower for an unsecured line of credit. Credit rating: Whether an individual or a business is establishing the line of credit, credit history plays a role in qualifying. 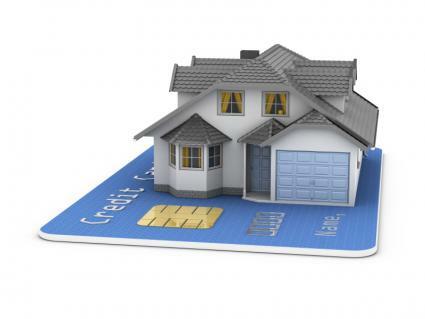 Different lenders have different credit score limits for qualifying purposes. You can establish an unsecured line of credit for the maximum amount you can afford to repay over time. Generally, an unsecured line of credit maximum limit is lower than a secured line of credit because the lender doesn't have an asset as collateral for the loan. A line of credit is a simple and fast way for an individual to access the cash required for purchases. Available to both individuals and businesses, it tends to be a cost effective way to pay for items, pay off or pay down the line and then have cash available for use again in the future.